They're smart and they know how to hustle. They cook for hundreds of food savvy, picky eaters on a daily basis. Just like Food Runners, they love food and they hate waste. Their kitchens are huge, loud and hot. Welcome to the world of being a head chef at a San Francicso tech company corporate kitchen. You think your job requires organization.... For corporate kitchen chefs, organization takes center stage right next to culinary skill. The spreadsheets for one week's menus could fill a twelve inch tall, three ring binder. Dishes for a multitude of international palates and diets must be available at all times. Vegan, vegetarian, carbs, no carbs, organic, low-fat, locally grown...the list goes on. And how many to cook for? How many employees will dine on campus on any given day? How many will go out? How many will work from home? 'Tis a puzzlement not even the most brilliant chef can accurately predict. That's where Food Runners comes in. Conscientious chefs at large companies like Twitter, Zynga, Cisco/Meraki, Linkedin and Google, just to name a few, have taken the minimal amount time and energy it takes to incorporate Food Runners into their kitchens' regular routine. At these kitchens, the amount of labor required to empty leftovers into the trash gets applied to emptying the leftovers into trays to be picked up by Food Runners volunteers instead. Food Runners volunteers love picking up at the tech company corporate cafeterias. The food is glorious and copious. 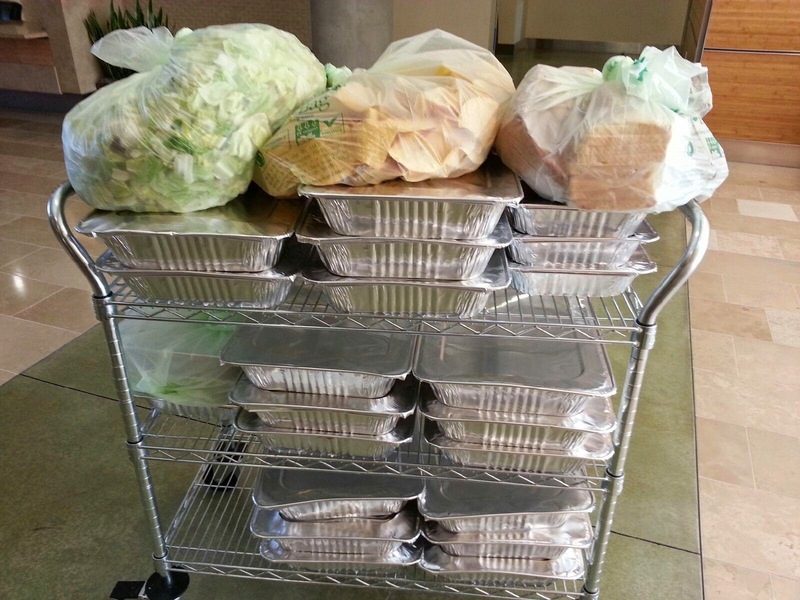 "Ten trays is typical," reports volunteer Thelma G. of her recent Friday afternoon run from Google to Community Focus. "My car smells so good that I get hungry whenever I do my run," laughs volunteer Nancy C. of her Thursday afternoon run from Cisco/Meraki to Mother Brown's in Bayview. "The food always looks so healthy. I feel extra good about delivering it," enthuses volunteer Caitlin S. of her Monday afternoon adventures from Twitter to Dore Clinic. "The food donations have been really great," states Community Focus Director Yasi S. "The biggest problem for us food wise is always protein: having enough. But Food Runners has saved our Saturday Program lunches. The deliveries almost always have protein. And they're always delicious!" Delicious and generous. Without Food Runners, corporate kitchens like Twittter, Zynga and the rest, hundreds of pounds of fantastic edible food would end up in the compost. Instead, the food winds up in the mouths of San Franciscans in need. Everyone wins. Nutritious food is still being thrown away every day in San Francisco. 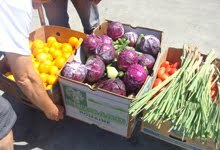 Did you know that approximately 170,000 San Franciscans don't have enough to eat on a daily basis? Tell your friends and local businesses with food about Food Runners. Donating good food to those in need is just an app tap or phone call away at 415-929-1866.